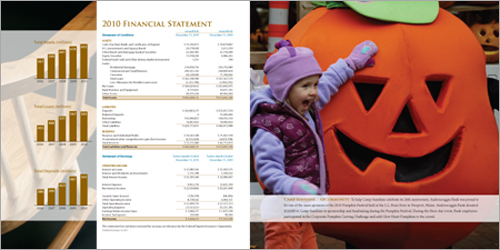 Visible Logic worked as part of a collaborative team with Perry & Banks to provide creative, marketing and branding strategy to Androscoggin Bank including their 2010 Annual Report. 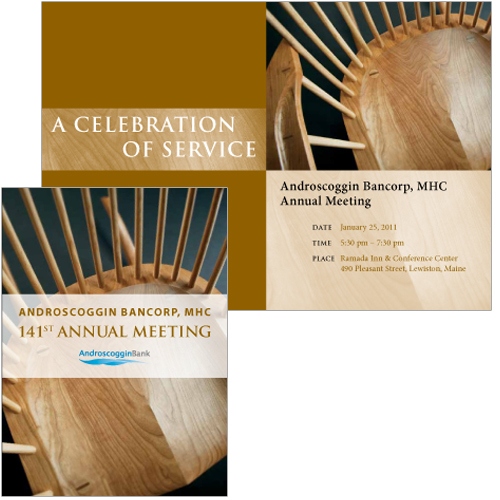 The theme of this annual was Celebration of Service and focused on the service of two long-time board members who were retiring. 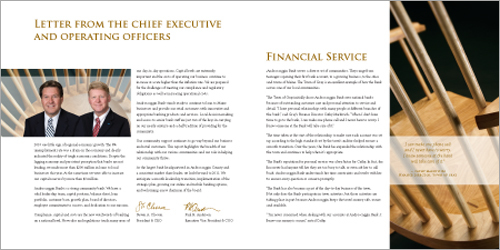 As a departure gift, the two were given Thomas Moser rocking chairs. These chairs were photographed beautifully by Tom McPherson and integrated throughout the design. 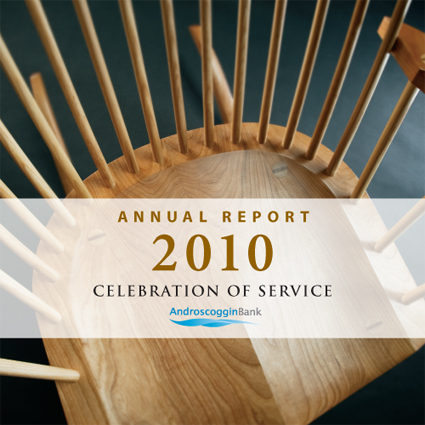 The design from the annual report was carried over in the invitation to the Androscoggin Bank annual meeting.